Oxford, Oxfordshire is a magical place. It’s a city that feels timeless with its cobblestoned streets and buildings, spires and history. The city center may be small, but it has a lot of offer. Not only does Oxford house one of the world’s prestigious institutions, The University of Oxford, but every nook is something to explore. At first glance, you’ll notice the archaic vibe imminent in this city. Look again. You’ll see its charm and timeless, rustic beauty. I spent a summer term abroad studying Creative Writing and fell in love with this city. It’s a city where I traveled solo for the first time, met amazing creative people, and learned to be more independent. It’s a city close to my heart and to this day, it’s still one of my favourite places to visit. Ready to make Oxford a part of your history? Here are 30 things you can do in Oxford. There are plenty of walking tours you can join in Oxford. There’s a J.R.R. Tolkein, C.S. Lewis and even a Harry Potter walking tour! You can go to your nearest Visitor Center to ask about the tours or go to Blackwell’s to book a tour. If you’d rather sit comfortably while familiarizing yourself with a city, then this one’s for you. CitySightseeing Oxford has a double-decker bus with an open top. I really made the most out of this and sat at the second level, enjoying the breeze and committing the places to mind. I wish I’d started vlogging back then. It would have been nice to look back on some videos. Since the walking tour only covered a few places, this bus tour gave me a wider perspective of the city. I also learned more about the city I would call my home for a few weeks. Their bus passes are valid for 24 hours upon purchase and there are two different routes. One route includes a live audio tour, and the other is recorded, which you can listen to with headphones on as you pass each stop. You can use this bus service as your mode of transportation for the whole day. The best part is that you can get off and rejoin the tour in any of the stops—whether it’s the green or red route. On a side note, they also have walking tours and you can even get a package that includes both the bus and walking tour. 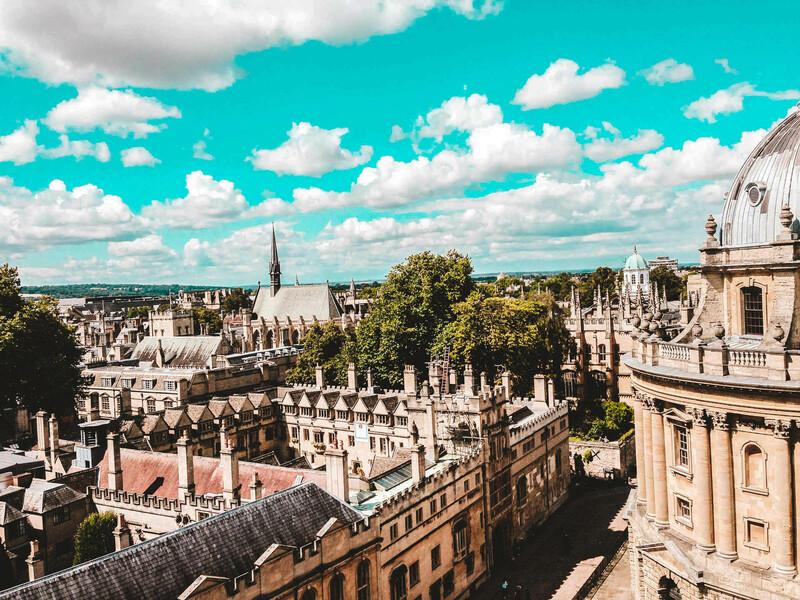 Did you know that The University of Oxford is composed of more than 35 Colleges? Oxford City is surrounded by Colleges, each with a unique history. Some Colleges charge a small door fee, but others welcome visitors for free. They normally leave their doors open when visiting time is allowed. If you’re not sure, just ask whoever is around at the reception—or as they call it the Porter’s Lodge. If you are a student at the University—whether regular or summer school—admission is free when you want to visit any of their Colleges. Some establishments also offer discount to students, so don’t forget to ask. It pays to bring your student ID with you at all times. Located along Ship Street, this little cafe serves good food for an affordable price. This is one of the places I kept coming back to because it was budget-friendly. I may or may not have seen Emma Watson or her look-a-like walking down this street as I was eating my risotto here one time. I was too stunned to move. I’ll never know if it was really her or not, but at least she was smiling at me. There are a number of College stores around the city, but this one’s my favorite because they sell Harry Potter merchandise. Aside from stylish jackets and hoodies, they also sell wands, maps, etc! The little store is also adorned with broomsticks and other Harry Potter themed items. Back when I went, Citysightseeing Oxford’s ticket/brochure allowed me to claim 10% off in this store. Of course, I used it to buy Hermione’s wand. I’m not sure if they still offer this discount, but be sure to check your CitySightseeing Oxford ticket/brochure for deals and discounts. Oxford Official College Store sells The University of Oxford t-shirts at reasonable prices or if you want to splurge go get yourself a college-themed hoodie or a varsity jacket! I went all out and bought a couple of t-shirts for me, my family, my friends, and two University jackets. Jamie Oliver’s Epic Brownie is a must-try. The brownie is super chewy and is topped with their homemade vanilla ice cream, chocolate syrup and caramelised popcorn. Blackwell’s has an arts & poster shop with a wide selection of posters, paintings and art books. Their bookshop is a book lover’s dream. Aside from carrying popular titles, they also have an underground level bursting with books. UK editions of titles have nicer and artsier covers. It was so tempted to buy books I already had because the British edition is prettier. Adjacent to the bookshop is their music shop. You can find all these along Broad Street. Also along Broad Street is the Fudge Kitchen. Indulge in their delicious chocolate selection. I got to try when they gave out for a free taste. My friend enjoyed it so much that he bought a whole chunk. Mind you, it’s not a huge covered market, but there are loads of shops to peruse and restaurants to try. Musts on your list for when you visit the Covered Market is to try the cookies at Ben’s Cookies and the milkshakes at Moo Moos where the line is always long. The best way to get to know any city is to walk, walk, walk, walk! As much as it took me a while to love walking around, I found hidden gems. For example, the only way to experience Oxford’s well-known, but hidden pub, The Turf Tavern, is through walking. If you’re traveling alone, always be alert and aware of your surroundings. Follow your gut. Scottish dancing classes at an emptied Great Hall will make you feel like you are a Hogwarts student learning to dance for the Yule Ball. The sequences are quite fast-paced, but that’s what makes it fun. Exeter College organised this particular Scottish dance class for their summer school students. Loads of people go busking along this pedestrian-only street. There are also other talented artists that display their artistic skills. One time I saw a detailed figure made entirely of sand. You never know who you might be listening to or seeing. They could be the next breakout star. Though I did not personally experience this, there’s just something about punting along River Thames that’s appealing! This pub is famous, but quite hard to find. It’s tucked away in a hidden corner that you have to access through Holywell Street, but it is actually located in 4-5 Bath Place. This small, beautiful dome is where Oxford graduation ceremonies are held. Though visitors cannot enter, you can photograph and soak in its beauty from afar. You can also get a different view of the Radcliffe Camera from Exeter College. Housing thousands of books, this library is an epitome of knowledge. Though you need to buy a ticket to enter inside—I suspect it’s to keep a limit to the noise—the square is open to travelers, and leads to the magnificent view of the Radcliffe Camera. G&D Ice Cream Cafe has humongous ice cream sandwiches called the Cookie Monster that are sure to get you on a sugar high. Whether you’re religious or not, these chapels and churches are worth the visit. They showcase intricate beauty through their architecture and design. Some, like the chapel in Exeter College, even hold concerts. Potterheads, I’m sure Christ Church is a place you’ve heard of. After all, it’s where they filmed the scene where first years were about to enter the Great Hall at Harry Potter and the Sorcerer’s Stone. The actual hall inside Christ Church is also inspiration for the Great Hall. This is a must for Potterheards who are visiting Oxford. Oxford is a great location—next to the Warner Brother’s London Studio Tour—to experience the books come to life. You’ll visit a number of on-site locations such as Christ Church which houses the staircase before Harry enters the Great Hall for the first time. There’s also the Bodleian Library where the Restricted Section of the Hogwarts Library was filmed, Divinity School a.k.a. Hogwarts infirmary, and the tree where Draco Malfoy was turned into a ferret. Need I say more? The parks are big, sprawling and beautiful! Imagine reading a book, or hanging out with friends surrounded by the beauty and fresh air of nature? The park that I particularly loved was the one across Keble College. Located along George Street (you can also enter through Gloucester Green square), this fire station has been converted into an art gallery where you can also take art lessons. Aside from showcasing lovely, eye-catching artworks, they also have a shop that sells local art. If you’re looking for a delicious burger, this is the place to go. It’s a little on the pricier side, but every pound is worth it. I really enjoyed every bite. There is a magical quality about Oxford at night. Walk around the city when the sun goes down. Find a local who can take you around at night. There’s even a ghost tour. Just remember to always be alert and make safety your priority–no matter where you are! This is still one of the best decisions I’ve made in my life and I’d definitely recommend it to anyone considering studying abroad for a short term. The University of Oxford offers short summer courses for international students. It’s one of those moments in your life that feels surreal. 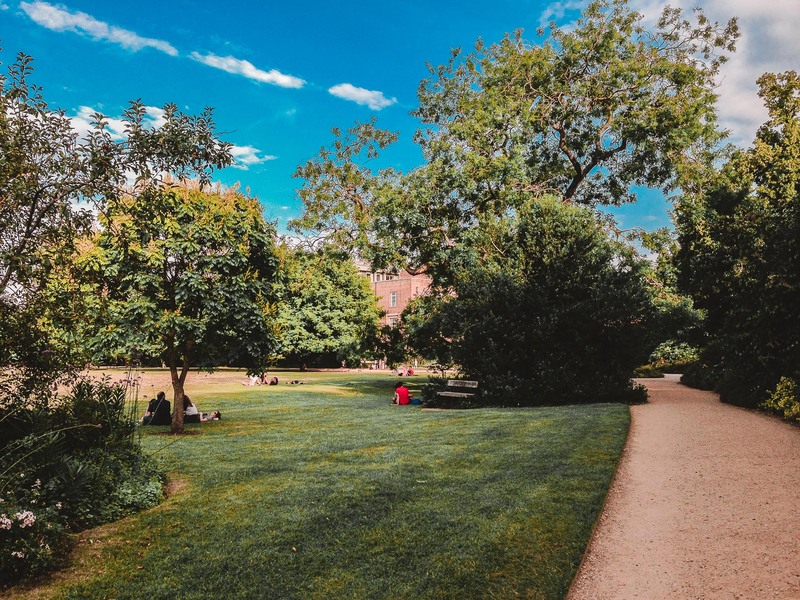 You’ll feel like a Hogwarts student as you eat in their dining halls, stroll in their parks, go to lessons, stay in a dorm, and hang out in common rooms. There’s so much I have to say about this experience that it’ll have to be for another blog post. I visited this Italian restaurant once in Oxford and again when I stumbled upon it in London. They have delicious ravioli and risotto! It’s a bit pricey, but again, it’s worth the money! If you’re looking for creative drinks, The Purple Turtle Union Bar has them: Hogwarts & college-themed shots. The atmosphere reminds me of a punk club what with gig posters plastered around the wall across the bar. This is the famous pub where JRR Tolkien and C.S. Lewis frequented and would discuss their stories. I recommend Keble College’s B&B because not only is it very affordable, but is spacious. The only downside is that you have to walk a bit to get to the main street and shops. If you prefer to stay more central, book a B&B along one of the main roads! I stayed at The Bocardo, which is right above Jamie Oliver’s. If you’re coming from Heathrow airport like me, I booked a ticket online with a coach service called The Airline. The bus ticket is valid for a few hours from the specified time slot you choose. For example, if you bought a 7 PM ticket, you can leave earlier or after. This comes super handy if your flight gets delayed or if you want to grab a meal before your hour-long journey. The bus leaves every twenty minutes or so. When in doubt, go to the Visitor Information Centre. You can get free maps, brochures, and even ask them what are the best things to do while you’re in Oxford city. There’s even a money changer right beside it. Google Maps will save you. It works even if there’s no wifi and if you turn on your location, you can see which way you are headed with each step you take. Always carry a lightweight umbrella with you. Even if I live in a country that has a lot of rain, I wouldn’t carry an umbrella with me wherever I went. It’s only when I was in Oxford that I learned how crucial this item was. I bought a lightweight and collapsible one from Primark and until now I keep it with me. A British friend told me that we were spoiled for the first few weeks of our course because it hardly rained. On the last week of classes, we experienced the real British weather: very erratic. There you have it: the x things to do in Oxford! 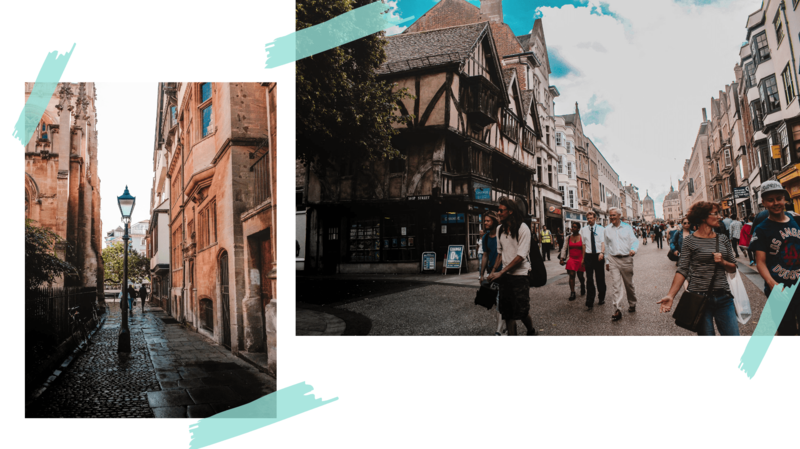 I do hope this guide has inspired you to travel and if you’re traveling to Oxford, a guide to help you plan your trip easier. Have you ever been to Oxford before? Let me know in the comments below!